Artistic creativity, versatility and technical precision are the main elements that make up NORDIC VOICES. 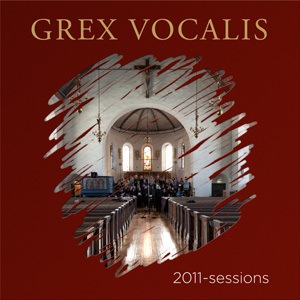 The six-voice a cappella group was formed in 1996 and comprises graduates from the Norwegian Academy of Music and the Norwegian Academy of Opera, who, in addition to their singing backgrounds, have a broad range of experience from choral conducting to teacher training and composition. It is perhaps this range of interests that leads them to explore a wider than usual spectrum of musical expression, from plainchant to new works commissioned from leading Norwegian composers; from the most sacred of religious texts to the definitely profane. 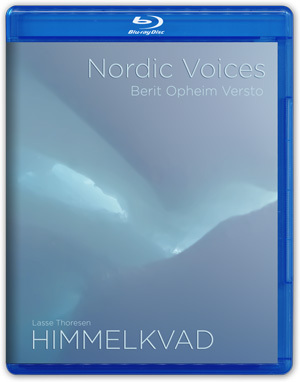 Nordic Voices are an unusual blend of sophisticated music-making and stylish performance, more often than not with more than a dash of humour. Reda more in the latest newsletter from Nordic Voices. "Forced to live with a permanent physical disorder, born with a fiery temperament, I had to isolate myself, live my life alone." The musical genius that lost his hearing never succumbed to fate. On the contrary - over and over again he managed to adjust to the shifting phases of his life and art. As a creative artist, Beethoven stood for constant renewal throughout his entire career, and he never hesitated from sharing his innermost feelings with his listeners. 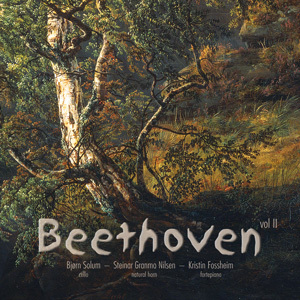 The three sonatas on this CD were created in three different phases - meet the young, the struggling and the mature Beethoven in an intense and lucid performance. "I will fly at fate and attack it - it will never succeed in striking me to the ground!" Watch the video from the recording sessions! Next month: TrondheimSolistene's SOUVENIR part I on 180g vinyl and HiRes audio files! The music captured by 2L features Norwegian composers and performers, and an international repertoire reflected in the Nordic atmosphere. The surround sound recordings of Lindberg Lyd do not only transform the entire listening experience, more radically, these innovative recordings overturn some very basic concepts regarding how music is played and even composed. 2L emphasize surround sound with Pure Audio Blu-ray and HiRes file distribution, and have garnered no less than 12 american GRAMMY nominations over the last six years.